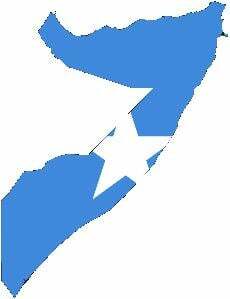 One month ago Somalia’s Transitional Federal Government (TFG) could fall in a year or a day and neither outcome would be surprising. al-Shabab had consolidated the southern and central regions, even launching raids into the north, and although it lacked the force to uproot 6,000 African Union (AU) troops from Mogadishu, the internal threat of government collapse meant that anything was possible. Kampala’s bombings prevented this mass from going critical, prompting new AU deployments and an offensive change in mindset. Unfortunately the tipping point doesn’t appear to have been pushed back as well. Instead the conflict remains frozen on the edge, an influx of AU troops unlikely to decisively check al-Shabab’s operations. And as threatening as al-Shabab’s takeover would be to African and Western enemies, preservation of the status quo leaves al-Qaeda free to hide and train in Somalia’s southern region. Somalia’s environment teems with shadows. Precise information may not exist. While the AU isn’t waging a true counterinsurgency, one area the AU has caught up in is information warfare, giving AMISOM a quasi-COIN feel. While the US media has stayed tuned out, Uganda’s media has become an active player in Mogadishu. Reports from state-sponsored journalists speak of handing out candy and winning local “hearts and minds” between recounts of vanquished al-Shabab positions. But the US-funded AU mission suffers from a weak and corrupt, if brave, government at its core, stirring with fresh internal divisions, that negates military progress. If at any moment the TFG dissolves, the new power struggle will likely wrestle for AU control and lock its soldiers into a politically dangerous situation. Convincing Somalis that the TFG will protect and serve them is a daily counterinsurgency quagmire; holding territory is hard without reliable government. AU officials have also become increasingly defensive of civilian casualties as the fighting intensifies, offering no prospect of reduction. And perhaps the greatest challenge – 1.4 million internally displaced persons (IDP). AU forces can’t just surge into Somalia’s cities, towns, and villages and keep everyone in their homes on curfew while they assault al-Shabab. The AU has enough to chew in waging a limited counterinsurgency, but Somalia is no ordinary COIN, representing the highest spectrum of nation-building. The AU and US aren’t nation-building in Somalia. Taking an accurate reading of Somalia isn’t easy in the jet-wash from both sides; various reports have al-Shabab and the AU-backed TFG on the offensive. Gluing pieces together with logic, the current ground reality is transitioning into a new phase of insurgency. al-Shabab appears on the defensive now that the AU has unleashed on positions in Mogadishu and the south; it may be forced to retreat from its cities, having conquered half of the state. While Puntland security forces assailed militants loyal to Mohamed Said Atom, who identifies with al-Shabab’s struggle, TFG officials sketched a future offensive in the Middle Jubba region, located one region above al-Shabab’s port stronghold of Kismayu. Several bases in the central Bakool region have reportedly been targeted too, not far from al-Shabab-held Beledweyne, as have positions inside Mogadishu. And on the US front, federal prosecutors unsealed a years-old indictment under the cover of 14 arrested Somalis. Omar Hammami, considered al-Shabab’s highest ranking American, is involved in propaganda, recruiting, and ground operations. Billed as the next Anwar al-Awlaki, al-Qaeda in the Arabian Peninsula’s (AQIP) front-man, Hammami has likely fallen on the CIA’s kill list. None of the TFG’s accounts are likely 100% true – past offensives have fizzled – but motion on the ground does indicate Somalia’s general trend. The AU, in defiance of its “defensive” public mandate, has gone on the offensive against al-Shabab with preemptive strikes and offensive campaigns. Instead of defending the presidential palace and airfield with body blows, the AU, driven by the TFG, Ugandan President Yoweri Museveni, and America, is now bringing the war to al-Shabab. “The Somali government decided to attack soon districts and regions controlled by rebel militias, and we need from the world to support us to defeat the insurgents,” Somali Prime Minister Omar Abdirashid Ali Sharmarke told reporters while visiting Kenya. But as the AU’s force density thins over space and time, a persistent insurgency is likely to solidify in the coming years. Winning the people’s trust is only possible through minimizing civilian casualties, but al-Shabab will stretch the AU through populated sections of Mogadishu and into its southern bases. And with minimal troops, killing insurgents won’t be nearly as hard as holding territory, befriending the population, and delivering services. The AU’s political will won’t last long if it can’t demonstrate visible non-military progress. Tactical military success is a hollow trophy in counterinsurgency. al-Shabab may appear foolish to have spoiled its own tactical advantage. Closer than ever to felling the TFG, attacking Kampala as a warning to Uganda’s latest troop deployment ensured that al-Shabab would lose its near-term advantage. But given that al-Shabab, by approving al-Qaeda and potentially Uganda’s Allied Democratic Forces (ADF), consciously baited more AU troops into Somalia, escalation must be part of its long-term strategy. al-Shabab knows 10,000 AU troops won’t prove any more decisive than 6,000, and even the 20,000 proposed by Museveni will likely fall short. This force may be able to hold major cities but would leave al-Shabab in control of the countryside. And were the 20,000 ceiling broken, al-Shabab is still likely to present asymmetry to any number of AU forces. 40,000 and above starts to create a realistic force for the whole country, and only if this force’s time-line ranges between 5 and 10 years – or more. Nor is a successful counterinsurgency guaranteed. al-Shabab is confident of repeating Ethiopia’s disastrous invasion and bleeding the AU and America dry in the international media. Though its fighters often gather in numbers and moves in the open, conventional measures suited to their established rule, it will likely disperse in the face of AU numerical and armored superiority. By remaining viable throughout the country while the TFG fails to reform itself or govern outside Mogadishu, al-Shabab will retain its strategic advantage despite tactical defeat. As 2012 is positioned, Washington and the AU are unlikely to commit fully to Somalia or forgo their interests and withdraw completely, leaving the conflict as they found it in 2006 and 2010 – except at a higher intensity of guerrilla warfare. Of course the entire situation could be thrown into chaos in the event of future al-Shabab/al-Qaeda attacks on African or Western targets. Overt US involvement will change the game; killing Hammami would likely prove more inflammatory than curative, like al-Qaeda operative Saleh Ali Saleh Nabhan. No possibility can be theoretically discounted with US Special Forces already operating in the country, Reapers buzzing the sky, and US Naval ships patrolling the coast. What can stop Somalia’s machine now that it has started is anyone’s guess. Solutions won’t be easy to find if al-Shabab and al-Qaeda intentionally provoked an expanding war, likely to undermine Afghanistan’s rationale. Also, what should work often stands opposite of what will work in counterinsurgency. But all insurgencies share DNA and a few immediate measures could boost the AU/US chances of success. Sunni militia Ahlu Sunna Waljama’a has pledged to redouble operations against al-Shabab, yet its power-sharing dispute with the TFG remains unsettled. Cleric Sheik Mohamed Yusuf Hefow has called for international mediation. At a time when Hizbul-Islam denied reports of falling out with al-Shabab, claiming negotiations to reunite are on track, making peace with Ahlu Sunna should be a top priority. Whatever keys exist are hidden somewhere in Somalia’s tribal/clan network, within a compromise between Hawiye and Darod, and in the business sector. Protecting the populace is the security objective; reunifying Somalia’s people – possible even Somaliland and Puntland – is the overriding political objective. The AU and US have re-framed the war as al-Shabab vs. Somalis and the international community to justify military expansion – a good starting point to correct. Maybe then a real counterinsurgency could begin.